A geofence is a virtual perimeter for a real-world geographic area. With a geofencing app, we can define a virtual boundary and be notified when users enter and exits the boundary. This command starts up Ember’s built-in “live-reloading” development server on port 4200. You can see the app in your browser by visiting http://localhost:4200. 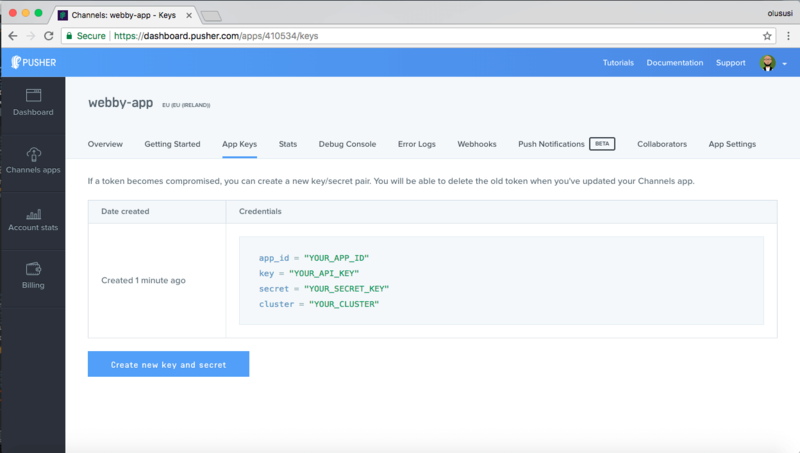 In the server.js file, we created a simple server with a /check-in route which sends user location data via a location channel to Pusher. If you’re using version control, remember to ignore your .env file. Our geofencing app will have two basic pages: one for users to check in and the other for the admin to view users within range. A route handler, located in app/routes/index.js, which sets up what should happen when that route is loaded. A route template, located in app/``templates``/index.hbs, which is where we display the actual content for the page. Lastly, a route test file located in tests/unit/routes/about-test.js, which is used to test the route. In the code above, we have a checkin action which is called when the check in button is clicked. The action gets the user’s location using the Geolocation API’s watchPosition method and sends it together with the user’s name to the server. If you visit the app in the browser, you should be able to enter a name and check in after granting location permission. 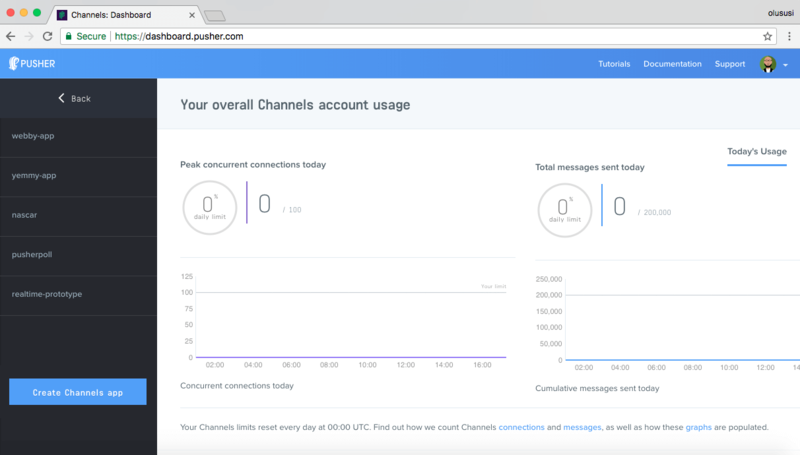 Now that our users can check in and their location is being broadcast by Pusher on the server, it’s time for us to render our map and display the users that are within our range. The createMapElement function for creating our map. The addMarker function for adding markers to our map. The addUserWithinRange function for adding and removing users from the sidebar on the admin page. The locationDistance function for calculating if the user is within our target range. In the createAdminMap function, we accept our admin’s location and call the createMapElement function. The createMapElement function generates a map using the Google Maps Map object and insert it to the div with the ID of map on our page. The function also accepts an array of users location and for each user, we add a marker for their location on the map. The locationDistance function calculates the difference between the user’s location and the target location and passes the data to the adUserWithinRange function which either adds or removes the user’s name from the page based on whether or not they’re within range. In the code snippet above, we have an array of allUsers and we inject our maps service into the component by calling maps: service('maps'). In the didInsertElement lifecycle hook, we call the getAdminLocation function which gets the admin’s location and calls the createAdminMap from our map service to create the admin’s map showing the target location. In the init function which is called when the component is initialized, we create our Pusher client and subscribe it to the location channel. When there is a new checkin event, we call the userExists function to see if the user already exists in our allUsers array. We then add or update the user’s info based on whether or not they exist in the allUsers array. After all this is done, we call the createMapElement from our maps service and pass it our array of users to be rendered on the page. 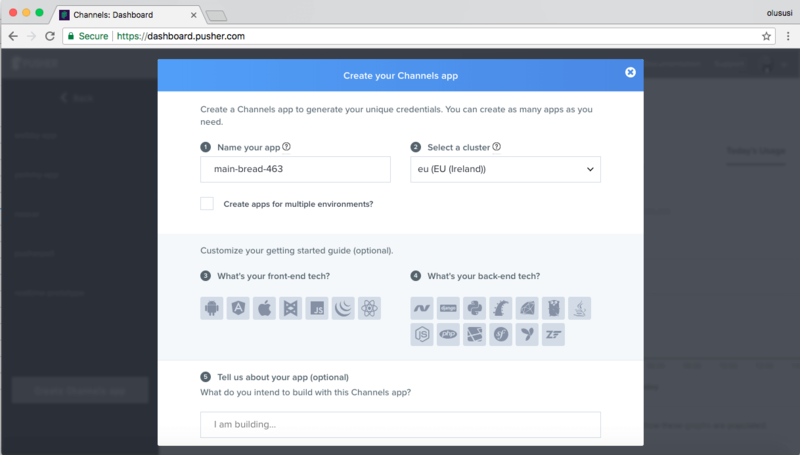 Remember to add your Pusher key and cluster. At this point, restart your development server, ensure your Node server is running and open the admin view(http://localhost:4200/admin) in a second tab. Enter a name in the home view then check in, you should see your name popup with your location showing on the map. 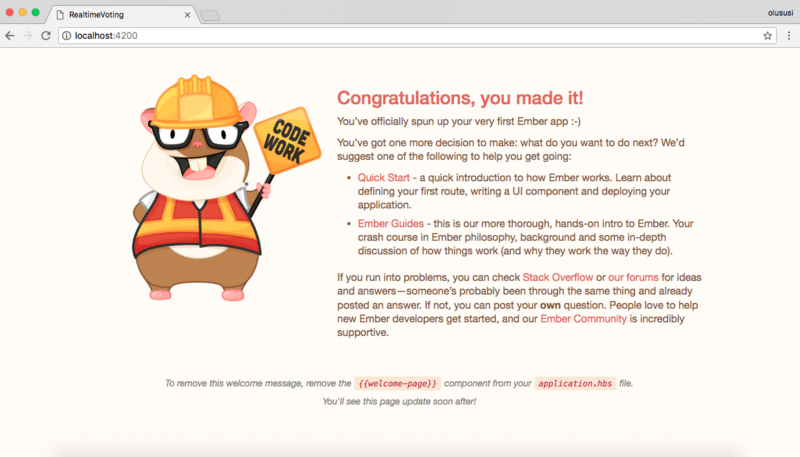 In this post, we have successfully created a realtime geofencing application in Ember. 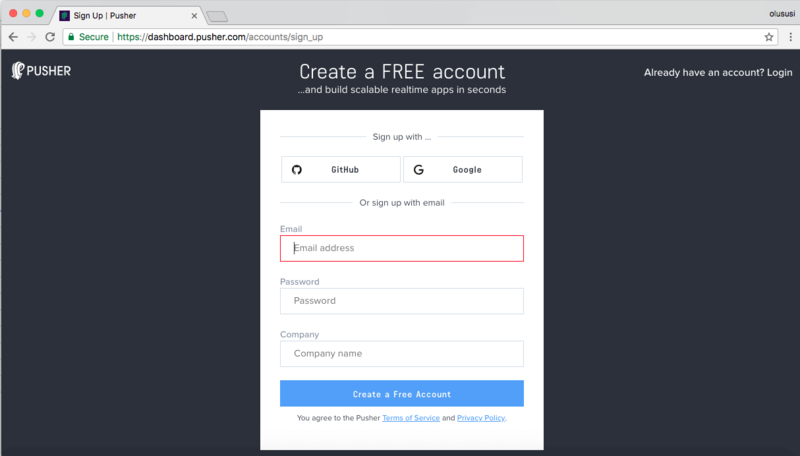 I hope you found this tutorial helpful and would love to apply the knowledge gained here to easily set up your own application using Pusher in an Ember application. You can find the source code for the demo app on GitHub.